Images uncovered in the latest MacOS Sierra update appear to confirm the long-running, and very likely, rumor that the new MacBook Pro will say goodbye to the function keys in favor of a multifunctional OLED touch bar. That’s right, after months of speculation, rumors, and manufacturer leaks it’s finally, almost, official. The latest information comes from a pretty reliable source, Apple itself. According to MacRumors, Apple spoiled its own big reveal by including some images buried in the latest MacOS Sierra update, the images clearly show a MacBook Pro with an OLED touch bar while a user engages Touch ID to authorize a purchase in the Apple store. The OLED touch bar is located just where we all expected it to be, right where the function keys used to be, and it appears to have a Touch ID pad on the right – and maybe left – side of the touch screen. The images appear to be part of an internal tutorial for the upcoming MacBook Pro, which will walk users through the Touch ID setup process for the OLED touch bar. As if photos of the new MacBook Pro weren’t evidence enough, the MacOS Sierra update 10.12.1 contains a new set of assets for the on-screen keyboard as well, which no longer contains a row of function keys. It might not seem like much, but it suggests two things. One, that those keys are no longer on the keyboard, and two, their functionality will be handled elsewhere – like the OLED touch bar. The new on-screen keyboard assets still reflects the overall design of the typical Apple keyboard, but they appear to be missing the entire row previously occupied by the function keys — including the escape, power and eject keys. 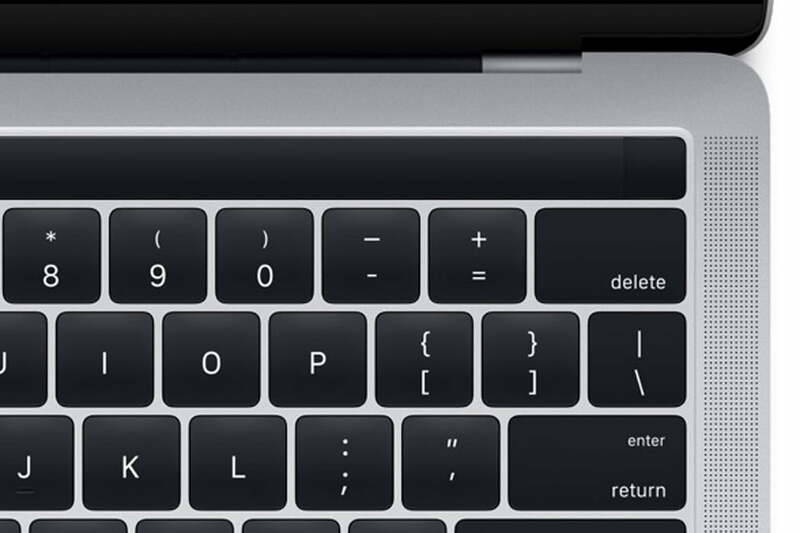 These latest images provide just another piece of the OLED touch bar puzzle, alongside the hardware leaks and conspicuous trademark filings uncovered earlier this year, which hinted strongly that the new MacBook Pro will feature some brand-new hardware. Now, we finally know what the OLED touch bar will look like, and that it supports Touch ID. We’re still in the dark about its other capabilities though, and we’re still not sure how it will interact with other apps, but we’ll only have to wait till Thursday to find out – assuming Apple didn’t bury any more spoilers in the latest Sierra update. Apple is expected to unveil a new slate of MacBooks, including a major revision to the MacBook Pro, at an event later this week. Aside from the MacBook Pro, it’s likely we’ll also see a refreshed 13-inch MacBook Air at the event on Thursday, but it’s doubtful we’ll see any new desktop Macs unveiled. It’s also unlikely that Apple’s recent talks to acquire E Ink keyboard technology from Australian startup Sonder will bear any fruit in this latest round of MacBook revisions.